Can you imagine how much more difficult the transition into the military would be without the USO? For the past 75 years—from their first assignment to their last big welcome home celebration—the USO has been that bridge to home. So what about when they transition out of the military? The USO’s answer to that question is RP/6. As part of the USO Transition 360 Alliance, RP/6 connects service members and their families with resources in their community that can ease their transition. It’s like a USO center in reverse. 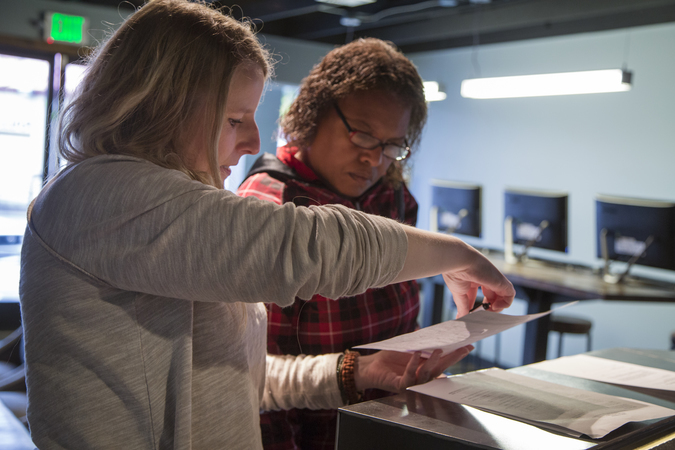 It’s located off installation to help new veterans stay connected to their military ties, make use of their earned veteran benefits and find their way as they matriculate into their civilian lives. RP/6 Transformed into USO Pathfinder in 2017, but our mission remains. Click to learn more. Bruun remembers the USO being the place that had her back. She recalled walking through airports not knowing much about where she was or where she was going. When that happened, she could always ask, “Where is the nearest USO?” to find a place to feel comfortable, get something to eat and connect with people who would help her. Founded by veterans Anne Sprute and R.J. Naugle, who have 30 years combined military service, RP/6— part of the USO Transition 360 Alliance—connects service members and their families with resources that can help them navigate their transition to civilian life. The concierge approach at RP/6 is very similar to what one might find in a USO center. It incorporates several USO partners, including Hire Heroes USA, Stronger Families and the Comfort Crew for Military Kids, in an effort to cover both the personal and professional issues military families face when moving to the civilian world. 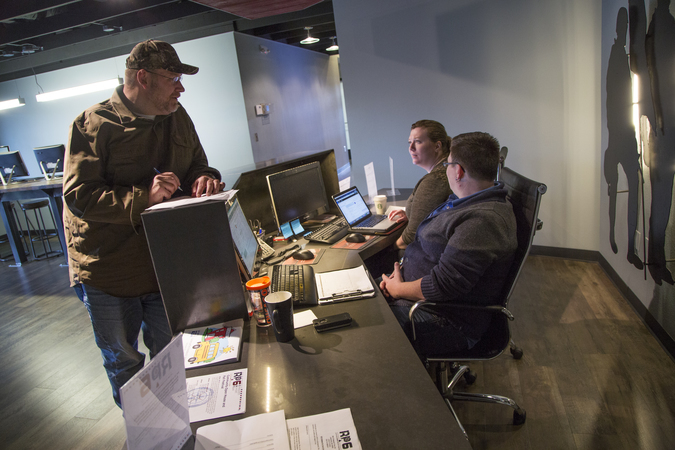 Founded by veterans Anne Sprute and R.J. Naugle, who have 30 years combined military service, RP/6 was created to solve the disconnect between military service and the transition to civilian life. They set out to engage their local community in understanding the potential and the opportunity offered in welcoming service members home to their new neighborhoods as valued assets. Together, they believe we can collectively make a difference in communities across the country, offering time, opportunity and resources in support of those who have protected our shared freedoms. 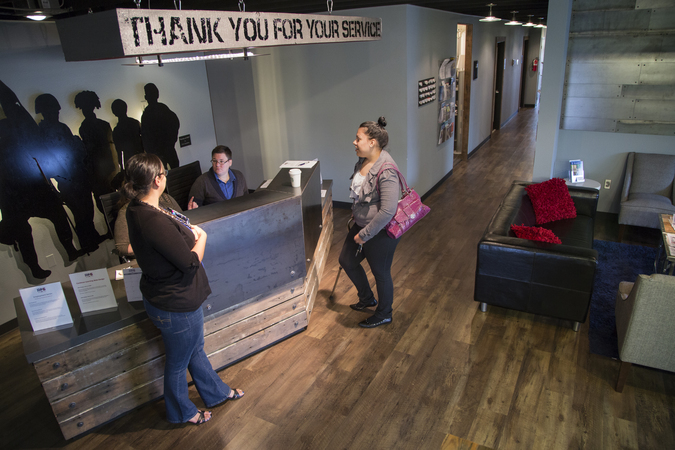 To date, RP/6 has served over 1,700 service members, veterans and military family members by connecting them to support services in the areas of employment, education, benefits, housing, family programs, finance and legal support. “We know that through this great partnership with the USO and other organizations that are coming on board that we are going to be able to help so many more military families and make sure they are successful as they transition out of the military,” Sprute said. Now an RP/6 fellow, Baleme spent 28 years in the Army guiding younger soldiers. He was sure by the time he transitioned out of the military he would have the whole thing down to a science. “It was an eye-opening experience to think that I was going to make that transition—smoothly—and then realize that I wasn’t,” he said. After receiving assistance from the team at RP/6, he decided he would give back by becoming a mentor to transitioning airman Antwon Teverbaugh, who also found his way to RP/6 and approached Baleme for assistance. Your donations help the USO provide programs and services to help military members and their families transition to civilian life. The mentor-mentee relationship with Baleme allowed Teverbaugh to realize he didn’t have to go through the transition by himself. —Joseph Andrew Lee is a USO multimedia journalist. This story appears in the Spring 2016 issue of On Patrol, the magazine of the USO.